TUESDAY, July 18, 2017 (HealthDay News) -- The collapse of Senate Republicans' efforts to repeal the Affordable Care Act raises questions about the future of health care reform. After two more GOP senators rejected the measure Monday night, Senate Majority Leader Mitch McConnell shifted gears and said there would be a vote to repeal the Affordable Care Act (also known as Obamacare) without an immediate replacement. But by Tuesday afternoon, that effort also appeared doomed after three Republican senators -- Susan Collins of Maine, Shelley Moore Capito of West Virginia and Lisa Murkowski of Alaska -- said no to the idea. "I did not come to Washington to hurt people," Capito said in a statement in The New York Times. "I cannot vote to repeal Obamacare without a replacement plan that addresses my concerns and the needs of West Virginians. I have serious concerns about how we continue to provide affordable care to those who have benefited from West Virginia's decision to expand Medicaid, especially in light of the growing opioid crisis." Health insurance experts echoed those concerns. For Americans who buy health coverage under Obamacare, full repeal without a replacement "would be devastating," said JoAnn Volk, project director at Georgetown University's Center on Health Insurance Reforms. Volk said this is a "critical time" for the individual markets. Many questions remain, including whether the Trump administration will continue making payments to health insurers to reduce low-income Americans' co-pays and deductibles. While consumers may face higher premiums for 2018, the individual insurance markets have been "pretty resilient," she noted. According to a Kaiser Family Foundation analysis, 44 counties are at risk of having no health plan option in 2018, affecting just 0.3 percent of Obamacare's 12.2 million enrollees. On the other hand, it's far from business as usual, Volk said. "Even aside from what Congress may or may not do, the [Trump] administration very much has their hands in this pot and can make it worse," she added. 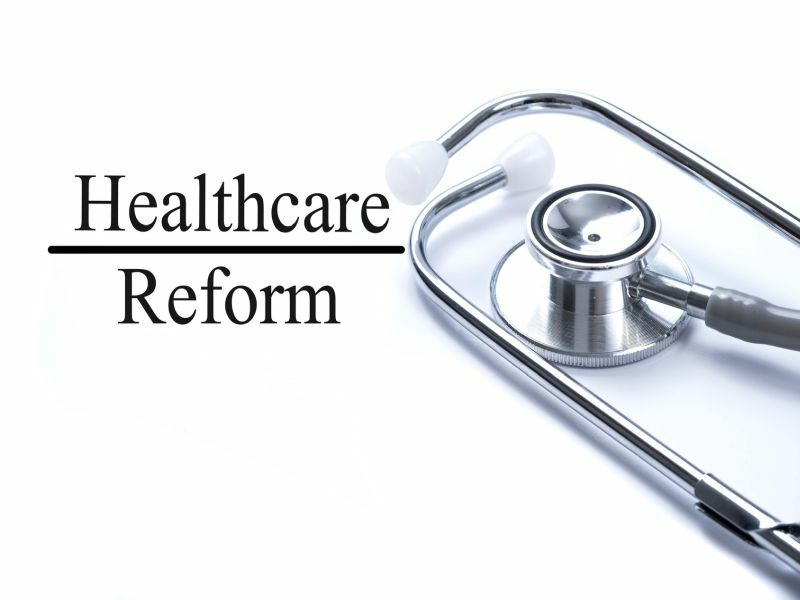 Democrats and leaders of major health organizations are calling for a bipartisan approach to ensure stability of insurance markets for patients and pave the way for longer-term reforms. Said Rick Pollack, president and CEO of the American Hospital Association: "Repeal without any effort to replace would leave millions of patients at risk during their most vulnerable times." Pollack expressed hope that the Senate would "regroup and work in a bipartisan manner" to repair and refine the health care law. Speaking at a National Retail Federation summit in Washington, D.C., Tuesday morning, Vice President Mike Pence expressed appreciation for Republicans in the House and Senate who have supported legislation to repeal the Affordable Care Act. "The Senate should vote to repeal now and replace later, or return to the legislation carefully crafted in the House and Senate. But, either way, inaction is not an option," Pence told retailers attending the summit. "Congress needs to step up. Congress needs to do their job, and Congress needs to do their job now." House Speaker Paul Ryan noted that Republicans in the lower chamber already passed legislation to overhaul health care. He declined Tuesday morning to comment on what the next steps in the Senate might be. "Here's the problem: Obamacare's in the middle of a tailspin," Ryan told reporters. Expressing disappointment, President Trump on Tuesday reiterated his longtime position: "Let Obamacare fail, and then everybody's going to have to come together and fix it."